Sampling and interpolation: sampling is depicted by the dots while interpolation is shown as the black line. 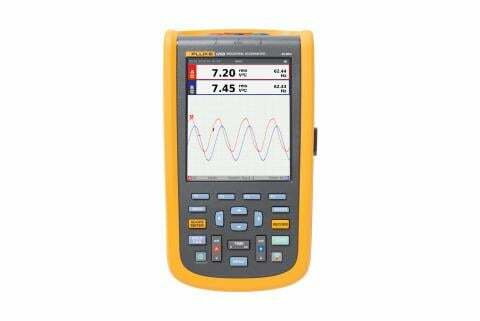 Sampling is the process of converting a portion of an input signal into a number of discrete electrical values for the purpose of storage, processing and display. The magnitude of each sampled point is equal to the amplitude of the input signal at the time the signal is sampled. The input waveform appears as a series of dots on the oscilloscope display. If the dots are widely spaced and difficult to interpret as a waveform, they can be connected using a process called interpolation, which connects the dots with lines, or vectors. 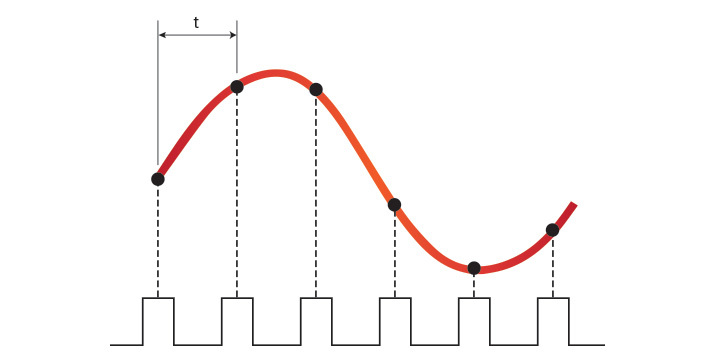 When working with complex signals like a series of pulses, pulse-width triggering may be required. With this technique, both the trigger-level setting, and the next falling edge of the signal must occur within a specified time span. Once these two conditions are met, the oscilloscope triggers. Another technique is single-shot triggering, by which the oscilloscope will display a trace only when the input signal meets the set trigger conditions. 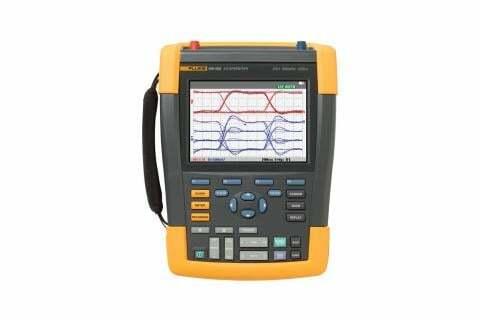 Once the trigger conditions are met, the oscilloscope acquires and updates the display, and then freezes the display to hold the trace.